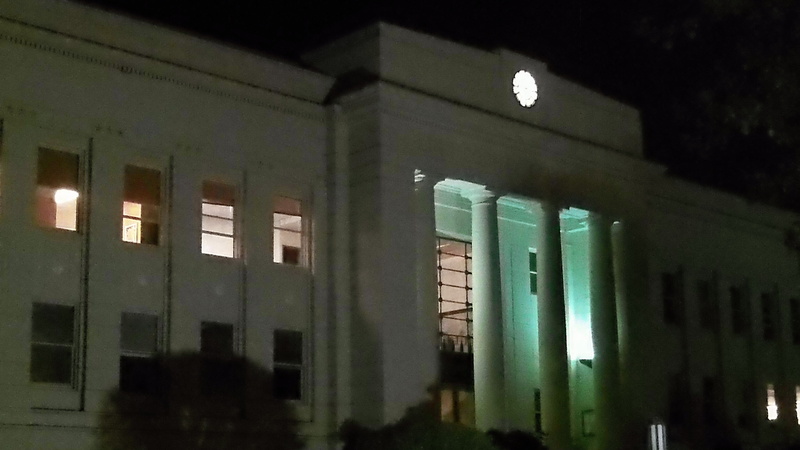 The Linn County courthouse. An ordinance to ban marijuana “facilities” has been prepared. Linn County, too, is preparing to jump on the local-government bandwagon of banning for a year the medical marijuana dispensaries the 2013 Oregon legislature had tried to allow. The Linn County counsel has prepared an ordinance to enact a one-year ban on dispensaries. The 2014 legislature added the ban as a local government option to the dispensary law it had passed last year. The draft ordinance for Linn County would impose the ban for as long as it is allowed under law, which under current law is May 1, 2015, or until it’s repealed. According to the text of the draft ordinance, the three-member board of commissioners plans give notice on March 25 of its plan to consider the ordinance and then to read and adopt the measure at the board’s meeting on April 2. Under state law the ban has to be adopted before May 1 in order to take effect.